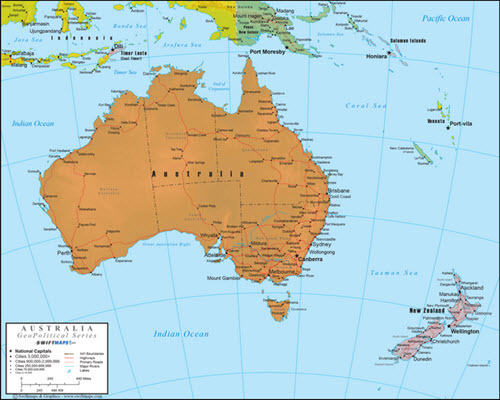 The Australian dollar is the official currency of Australia and seven of its external territories, plus the sovereigh states Kiribati, Nauru and Tuvalu. On the global forex market, the Australian dollar is the fifth most traded currency by value. The Australian government do not intervene in the FX market; neither to prop-up or bring down the value of the AUD in relation to other currencies. 1 AUD consists of 100 cents (c). The Australian dollar was introduced on 14 February 1966, replacing the Australian pound which had been introduced back in 1910. Just like the pound sterling (until 1971), the Australian pound did not follow the decimal system. 1 pound equalled 20 shillings, and each shilling equalled 12 pence. 1 pound was thus worth 240 pence. Alla Australian coins portray Queen Elizabeth II, the reigning Australian Sovereign, on the obverse. When the Australian dollar was introduced in 1966, it had six coins: 1 cent, 2 cent, 5 cent, 10 cent, 20 cent and 50 cent. The 50 cent coin was an 80% silver coin, and contained silver valued at more than 50 cent. Because of this, it was withdrawn after a year. 1 dollar coins and 2 dollar coins were introduced in the 1980s, and the 1 cent and 2 cent coins were discontinued in the 1990s. The Australian 50 cent coin is one of the world’s largest coins that is in normal everyday use. It’s diameter exceeds 31 mm and it weighs 15.55 grams. Australia has a tradition of issuing commemorative 50 cent coins, and such coins have for instance been issued to commemorate James Cook’s exploration of Australia, Queen Elizabeth II’s Silver Jubilee, and the Australian Bicentenary. In 2013, Australia issued a triangular (!) 5 dollar coin to celebrate the 25th anniversary of the opening of Parliament House. This coin is nearly 100% silver. The first Australian dollar banknotes, issued in 1966, where the 1 dollar, 2 dollar, 10 dollar, and 20 dollar notes. A 5 dollar note was added in 1967, followed by a 50 dollar note in 1973 and a 100 dollar note in 1984. Australia developed and pioneered the use of polymere in banknotes and released their first polymer money in the late 1980s. Nowadays, all Australian dollar notes are made of polymer.